Jefferson teaches students to develop their own aesthetic and how to work within the real-world fashion industry. Studying fashion is more than just aesthetics. Fashion can push boundaries, challenge norms and change the world. 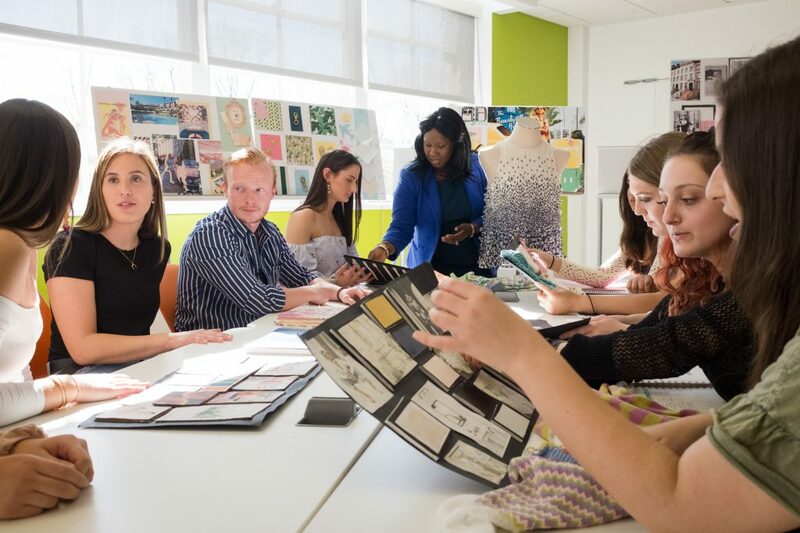 The fashion design, fashion merchandising and management, and textile design programs at Jefferson (Philadelphia University + Thomas Jefferson University) cover everything from concept to consumer, encouraging students to take advantage of unique industry-entrenched opportunities. These seven differentiators below help to show why the influential website Fashionista recently recognized Jefferson as one of the top fashion programs in the world. Jefferson teaches young designers to develop their own aesthetic, and more importantly, how to work within the real-world fashion industry. That means they learn how to design into market-driven parameters, such as customer, delivery, raw materials, price points and branding. This novel industry-based approach in the world of fashion education develops students into design professionals and helps them earn internships and jobs at top fashion companies, including Oscar de la Renta, Proenza Schouler, Coach, Under Armour, Free People, QVC, Urban Outfitters, Anthropologie, Nike, Lilly Pulitzer, Abercrombie & Fitch, Kate Spade, Macy’s, Li & Fung, Global Brands, PVH, Tommy Hilfiger and Calvin Klein. 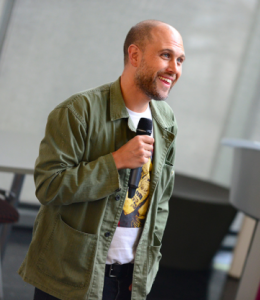 Fashion industry leaders have graduated from Jefferson, including Mike Ternosky ’00, owner and creative director of Obey. During the creation of their two senior collections, Jefferson fashion design students collaborate with other disciplines, including industrial design, architecture and graphic design communication. In addition, all fashion students collaborate with textile design students—as they will in industry—to design and develop custom fabrics for their senior collections, which are produced in Jefferson’s state-of-the-art weaving, knitting and printing facilities. Sophomores in Jefferson’s New York immersion course attend New York Fashion Week, attending shows, shopping fabric and trim markets, and attending exhibits. As part of their most recent trip, students visited the Heavenly Bodies exhibit at the Anna Wintour Costume Center at the Met. They researched a piece from the collections and then developed a fabric/trim story, color palette and modern-day collection for their final project. “The New York immersion course is one of the first pieces of conversation in interviews and has helped me land multiple internships,” said fashion alumna and M.S. in global fashion enterprise student Naomi Milrod ’17. Over a thousand fashion industry leaders, area fashionistas, students and more attend Jefferson’s annual spring fashion show, which is produced by the student Fashion Industries Association. In addition, major media outlets, such as WWD, cover the event that features some 400 looks. Fashion design students begin designing collections as freshmen and have the opportunity to submit collections to be shown at the show starting sophomore year. With this type of experience, students graduate from Jefferson ready to hit the ground running in the $3 trillion global fashion industry. Leading figures in the fashion industry have graduated from Jefferson, including Mike Ternosky ’00, owner and creative director of Obey; Wendy Santana ’83, executive vice president of Li & Fung Americas; and Kate Kibler ’97, vice president of North America direct-to-consumer business at Timberland. Jefferson students are no strangers to success when it comes to the prestigious YMA Fashion Scholarship Fund—the largest fashion scholarship program in the world. Jefferson has historically done well in the YMA competition, with 36 winners over the last five years. Fashion design alumna Vivian Cooper ’17 earned the first-ever top award of $35,000 in 2017. Representatives from the industry’s top firms come to campus to recruit Jefferson students for internships and full-time positions. At last year’s Design Expo, 100 design companies conducted a record 1,003 interviews with students. Eighty percent of employers attending the 2018 Design Expo have hired a Jefferson student over the past several years.